I have always been interested in anything tech-related. It all started with my parents Commodore 64. Not sure what I was doing, I copied basic code from one of the books my mum gave me. Seeing code come to live blew my mind. It was around the same time when I got into gaming. From there I grew with the technology while my focus remained coding. I am happy to say that I code for a living and as a hobby. I love working on web applications such as Zendesk apps, utilizing APIs, solving problems with code. Combining programming with my love for games is another passion of mine and so I slowly worked my way towards becoming a Full-Stack developer making use of languages such as C#, C++, HTML, CSS, PHP and JS to create websites, web-applications, tools and games. The last couple of years I have been working as a consultant, evaluating customer-support-structures, creating and maintaining efficient and scale-able support-structures and customizing Zendesk environments to comply with each company's specific needs. 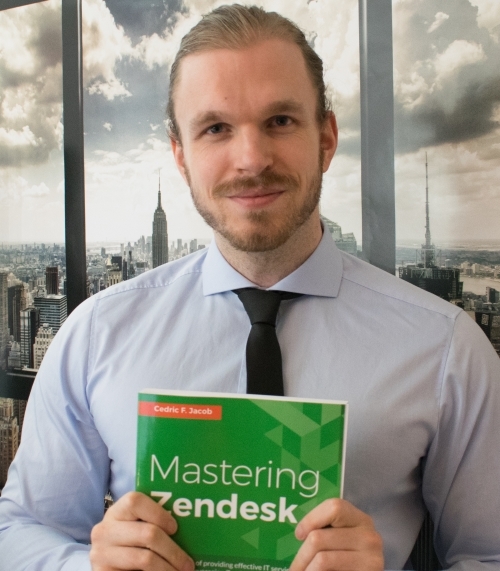 In 2017 PACKT published my first book called Mastering Zendesk. I was fortunate enough to work with great people and companies. Next to being a developer, I was able to proof my creative side by writing audio-books and working as a script-consultant for Runtastic Story-Running. I was given the opportunity to work with M3Hiphop, consulting their artists and management in regards to Social Media and content development. Now I am looking forward to meeting new people, facing new challenges and the opportunity to learn along the way. If I can help you with a project, feel free to contact me anytime. Photography, currently learning with my Nikon D3300. Writing - Mainly blog-posts lately. Anything tech related like Raspberry Pi projects. Programming using C#, Unity Engine, C++, HTML, CSS, JS, PHP, etc. IT Security in general. Currently playing with Linux Kali. Cinema / TV and yes, please send me your suggestions. Books, I should read more though. Gaming - "Captain's log: Guybrush Threepwood. Lost at sea for days now." I love connecting with people! If you want to reach out, feel free to hit me up.